This is my first entry in Historical Tapestry's "The Alphabet in Historical Fiction" challenge. Over the next year, I'll be traveling through the alphabet, looking at 26 historical novels that fit the letter of the week. I plan to focus on backlist titles that are worth a second look. I remember when Eileen Kernaghan's The Alchemist's Daughter arrived in the mail. I hadn't intended to keep it to review myself, but I'd grabbed the package from the mailbox on my way out the door and, having nothing else of value to read in a doctor's waiting room, opened it up to the first page. Of course, I quickly got caught up in the story. The author's Bronze Age high fantasy series, the Grey Isles trilogy, had been favorites of mine in high school, so this shouldn't have come as a surprise. 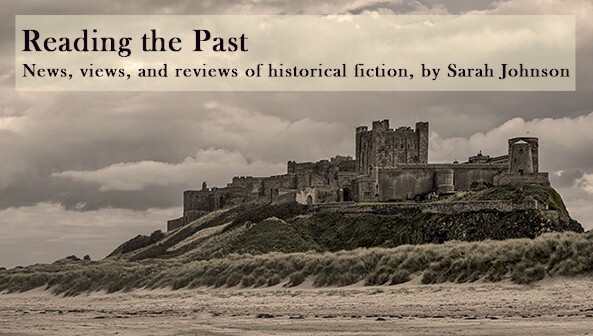 In any case, here's my review (first published in the Historical Novels Review in Feb '05). Sidonie Quince, a teenager in 1587 England, lives with her father, alchemist Simon Quince, in Charing Cross. She has inherited from her late mother the ability to scry into the future, but considers her gifts a curse, for she foresees only disaster for her country. When Sidonie’s father receives an invitation from Lord Burleigh to attend upon Her Majesty at Hampton Court, Sidonie accompanies him, and dares to tell Queen Elizabeth the truth about the forthcoming Armada. But to prepare for war, England needs money, and Simon’s foolish promise to turn base metal into gold leads only to trouble. While he travels to London for supplies, Sidonie and her friendly neighbor, apothecary’s son Kit Aubrey, head to Glastonbury Abbey to find a mysterious red powder that may be their only hope. Their adventure leads them into the company of Dr. Dee, Lady Mary Herbert, William Shakespeare, and other Elizabethan notables – plus more danger than they ever expected. I was enchanted by this lighthearted historical fantasy. The scenes describing Simon Quince’s failed experiments (which give off foul odors that cause his servants to flee) are hilarious, and the author’s precise language and brilliant depictions of the Elizabethan world are a pleasure to experience. Young adults will delight in the romance and magical setting, and adults will appreciate this wonderfully written novel as well. 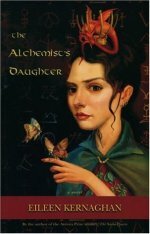 The Alchemist's Daughter was published by Thistledown Press in 2004 in trade paperback ($13.95/C$15.95, 187pp, 189345797). For more details, see the author's website. I love your review! This is one I've wanted to read for the longest time. Also, I think I'm going to enter this challenge too- sounds like fun, especially since for every letter we have a good two weeks to post. Thanks! I don't remember hearing about this book before, but it sounds good. Added to my TBR list! Lucy, I hope you do join in! One thing I really like about this challenge is that we have two weeks to post. I've already thought about my entry for "B" and will probably write it up over Thanksgiving break. I don't plan to repost older reviews for all of them, though I couldn't resist this one. Kernaghan's Winter on the Plain of Ghosts is also well worth reading. It's set in the Indus River Valley a few thousand years ago - a great combination of historical and speculative fiction. I'm glad your doing the challenge. I haven't decide which book to highlight yet but will be posting about it soon. This sounds really good! I don't read much historical fiction anymore, though it was one of my first loves. I used to devour my grandma's historical novels when I was a kid. :-) I would like to read more HF now, which is why I joined this challenge. Sounds interesting......will add it to the evergrowing list. Sounds interesting and intriguing, I might just see if the library has it. I’ve never heard of Historical Tapestry's "The Alphabet in Historical Fiction" challenge I’ll have to look it up for more.